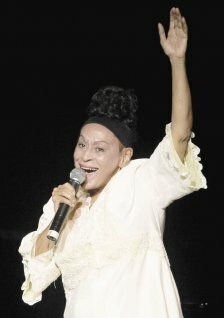 Cuban diva Omara Portuondo has been touring around the world for more than 60 years. As the grand diva of the Buena Vista Social Club™ Diva, she has performed at the greatest music festivals and theaters all over the world as did her predecessors like Ibrahim Ferrer, Compay Segundo and Ruben Gonzalez. Magia Negra was Omara’s debut album, a combination of Cuban music and American Jazz that included covers such as “That Old Black Magic “and “Caravan” from Duke Ellington. In 2014 she will be back on the stage revisiting Magia Negra and some other greatest hits from her solo career. Many more details to come!